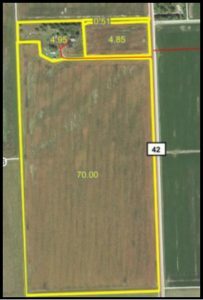 Description: Located in the Missouri River Valley in northeast Burt County. 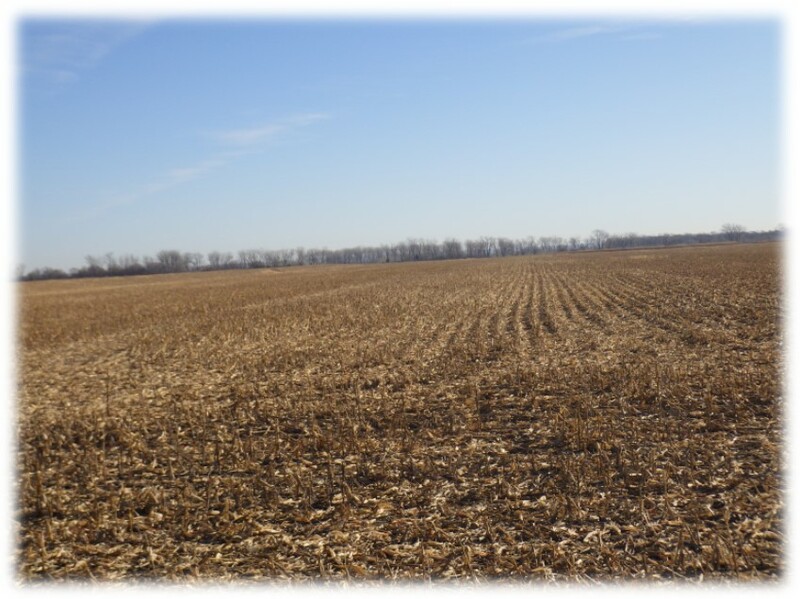 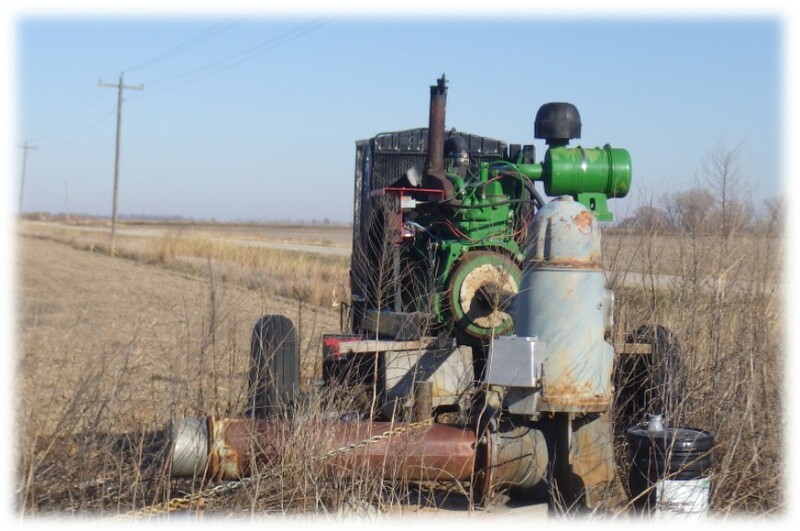 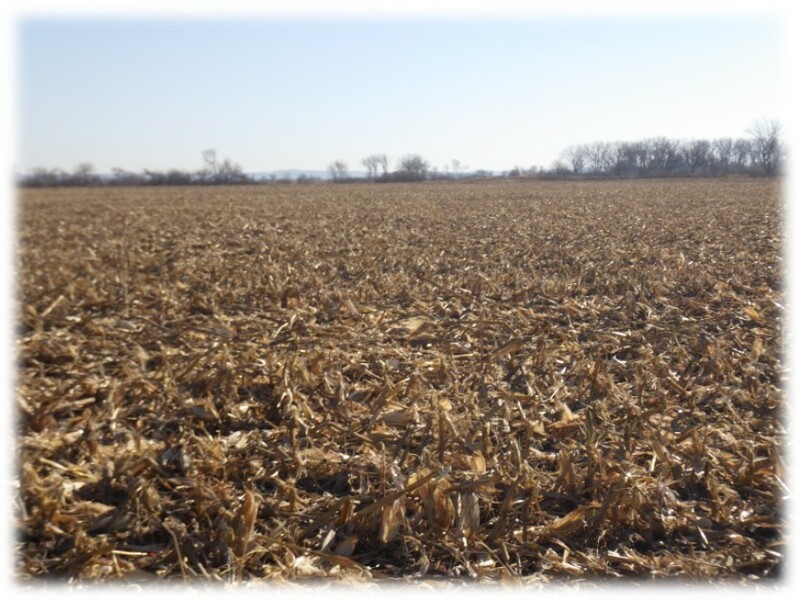 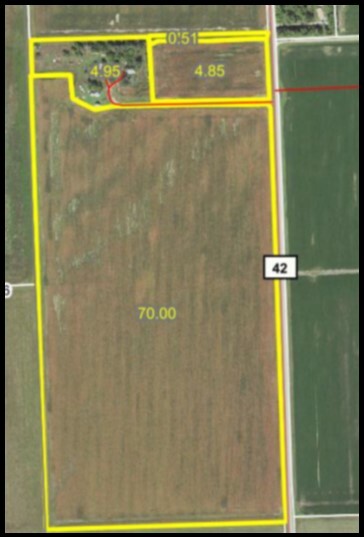 Four parcels ranging in 40 to 80 acres of productive farm ground. 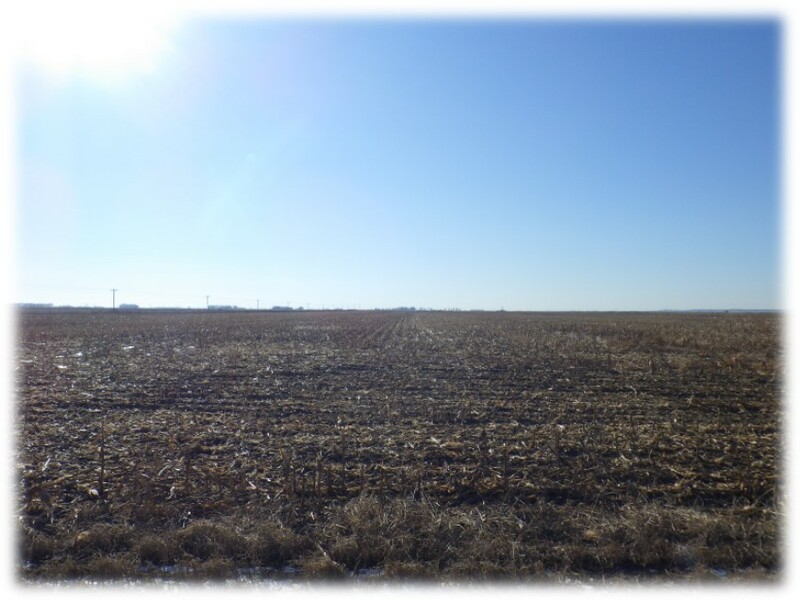 8 miles northeast of Tekamah, Nebraska in Burt County. 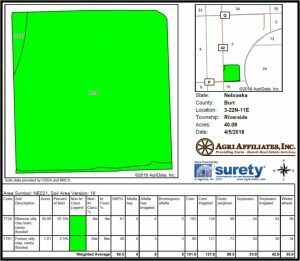 Access provided by county gravel Road 42. 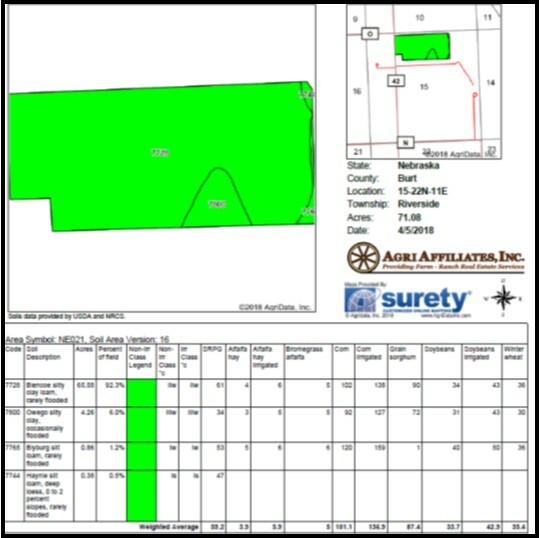 Parcel #1 - SW1/4 NW1/4 and NW1/4 SW1/4 Section 15-T22N-R11E of the 6th P.M., Burt County, Nebraska. 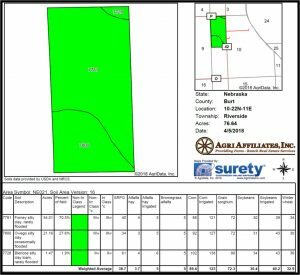 Parcel #2 - NE1/4 NW1/4 except 2.00-acre tract and NW1/4 NE1/4 Section 15-T22N-R11E of the 6th P.M., Burt County, Nebraska. 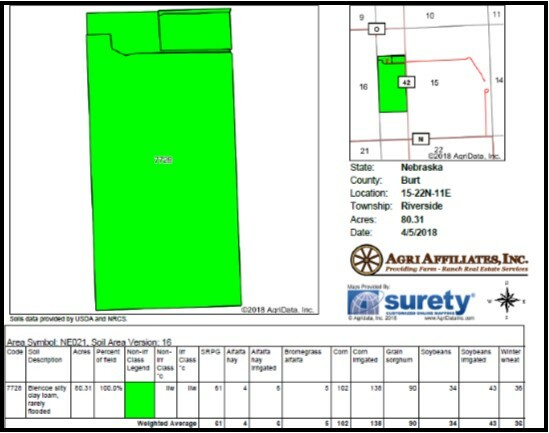 Parcel #3 - W1/2 NW1/4 Section 10-T22N-R11E of the 6th P.M., Burt County, Nebraska. 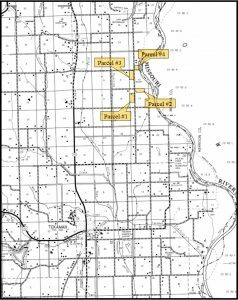 Parcel #4 - SE1/4 SW1/4 Section 3-T22N-R11E of the 6th P.M., Burt County, Nebraska. 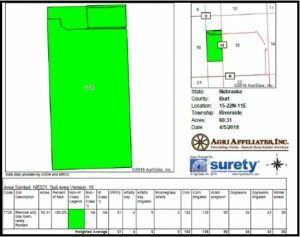 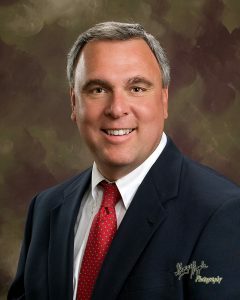 Taxes: See brochure for details on Real Estate Taxes for each parcel. 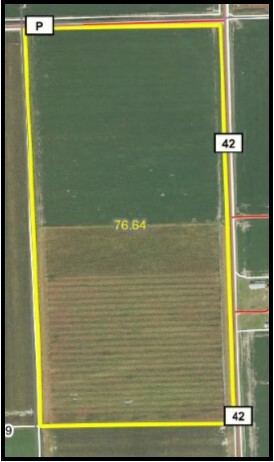 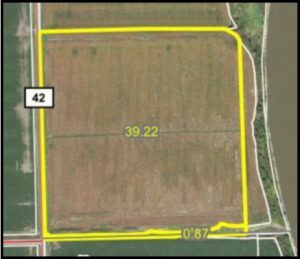 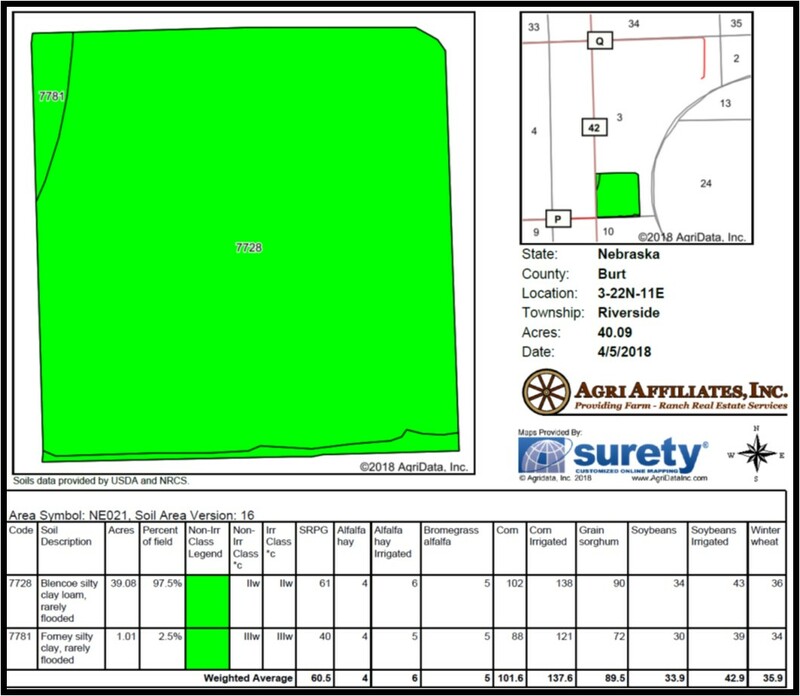 Parcel #1 - 80.00 acres of dry cropland with an older improvement site. 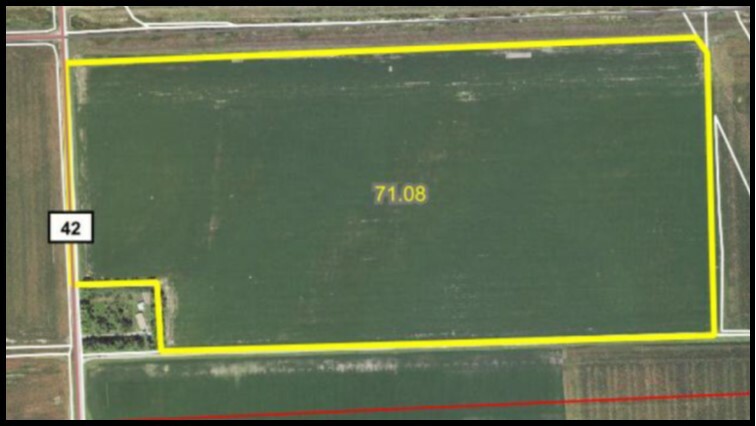 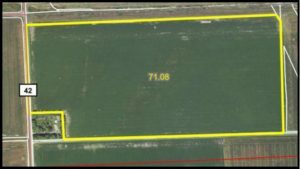 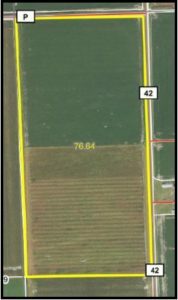 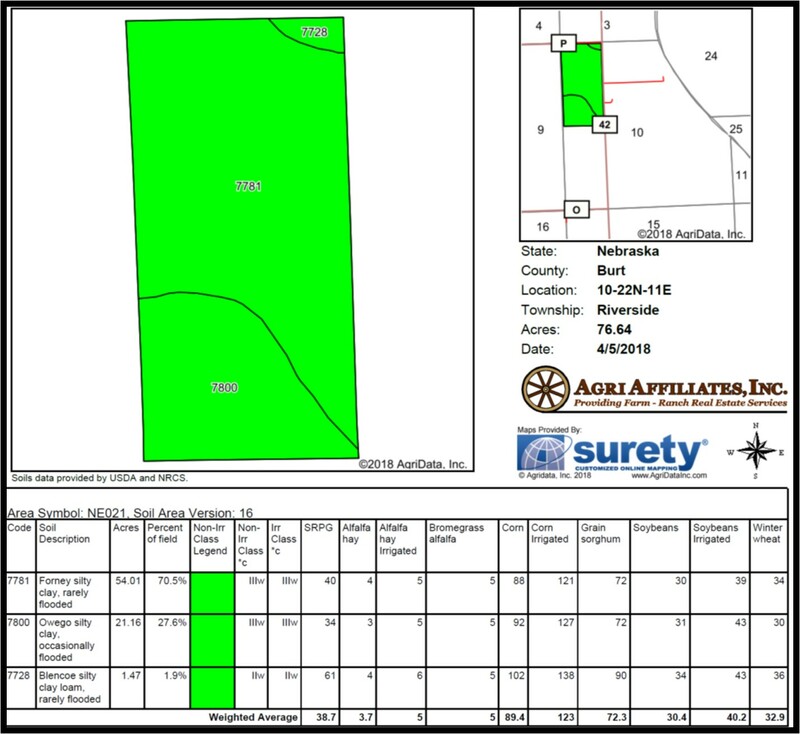 Parcel #2 - 71.08 acres of dry cropland. 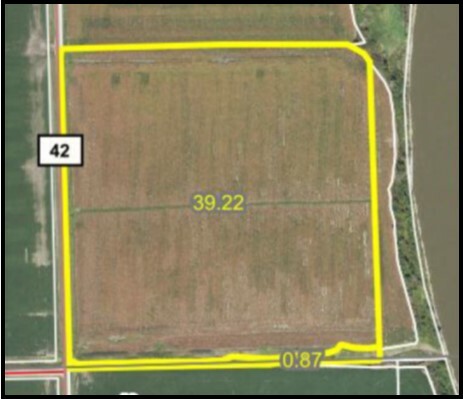 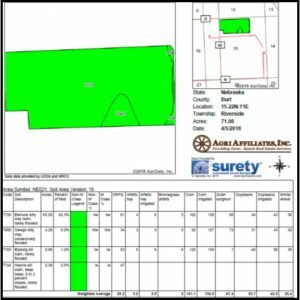 Parcel #3 - 80.00 acres of gravity irrigated cropland. 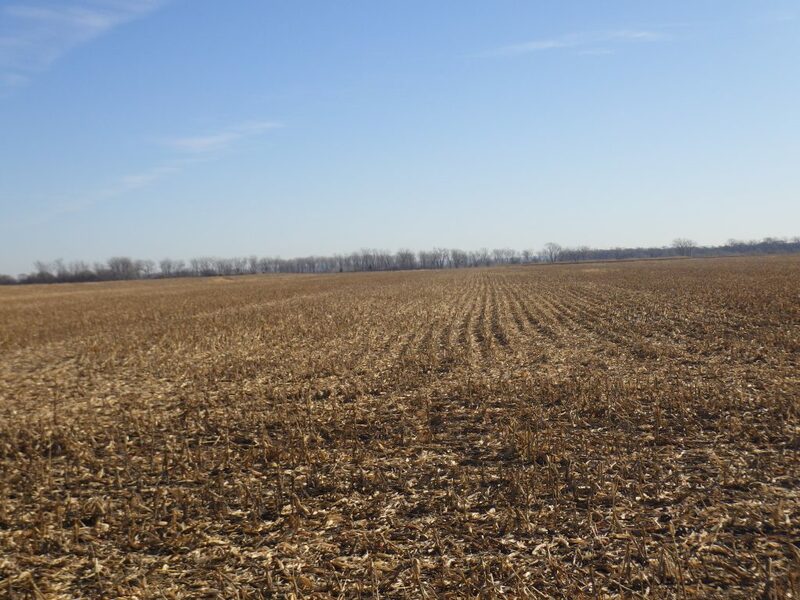 Farms are available for the 2019 farming season. 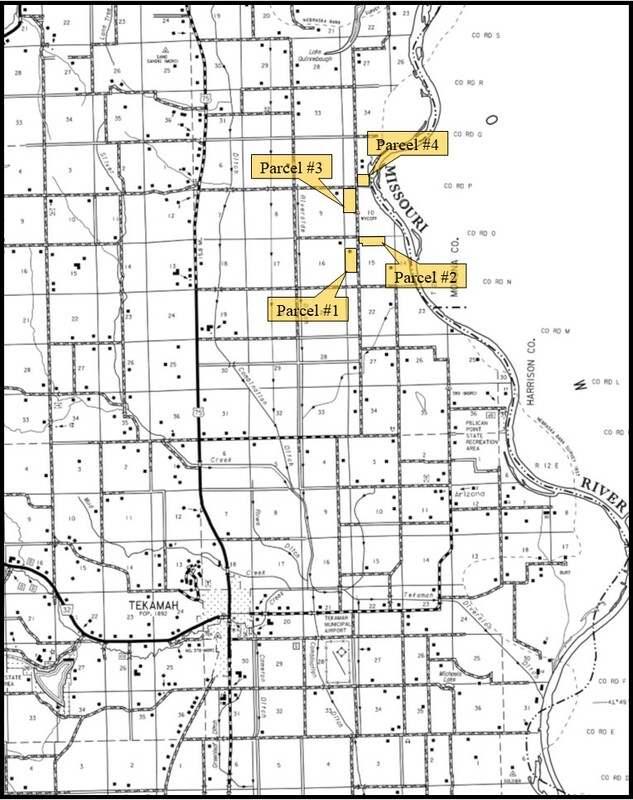 For more specific information pertaining to each parcel, please see the detailed brochure.